We manufacturer, exporter and supplier of a wide range of Comfort Pads. These products are highly quality focused and accomplishes the complete need of customers. We check the quality of these products at every stage of production using various tools and under different conditions to ensure only flawless range is delivered to customers. Considering the need of customers, we also customize the products and offer them at market leading price. 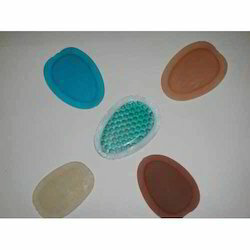 Our client can avail from us Easycare Comfort Pads made from quality material. These are available as per the customer requirement and which are made by using different innovative techniques. These are the different types of pads like mouse pad, seat pad, gel pad, Slipper Pads etc . This Comfort Pad can be easily cleaned and logo of company can be printed. These are available in various color and patterns. Looking for Comfort Pads ?